We live in a place that has more freedoms than most. Personally, we have an almost unlimited amount of independence. The fact is, we can come and go and date and see and meet with anyone (any adult) we want to. We’re able to make so many of our own choices and decisions. But are we doing that? Metaphysically speaking, are we choosing and selecting? In the spiritual sense, are we taking advantage of our privileged state? Today’s message is a reminder of our power, our license, and our ability. Are we asking all the questions we can? Or are we making assumptions? Are we answering our own questions and those of our loved ones? Or are we suffering silently? To speak up when we see an injustice is also part of our freedom. But we don’t always do it for ourselves. For our own sacred selves. We are better able to help others when our own needs are met. And that includes the needs of the soul. If our spirit is malnourished, the rest of us is, too. It is our duty and privilege to do the very best that we can. Beginning with Self-Care and moving out from there. If we don’t ask, and answer, we aren’t doing anyone any good. On our card altar right now we have been given some help. Some no-cost assistance and divine guidance which will aid us in this very endeavor. Sometimes life gives you lemons. But not to worry. Your Creativity Guides are on hand, helping you transform your lemons into lemonade. No matter who you are or what circumstances you’ve inherited, life is always a blend of both the positive and the negative. 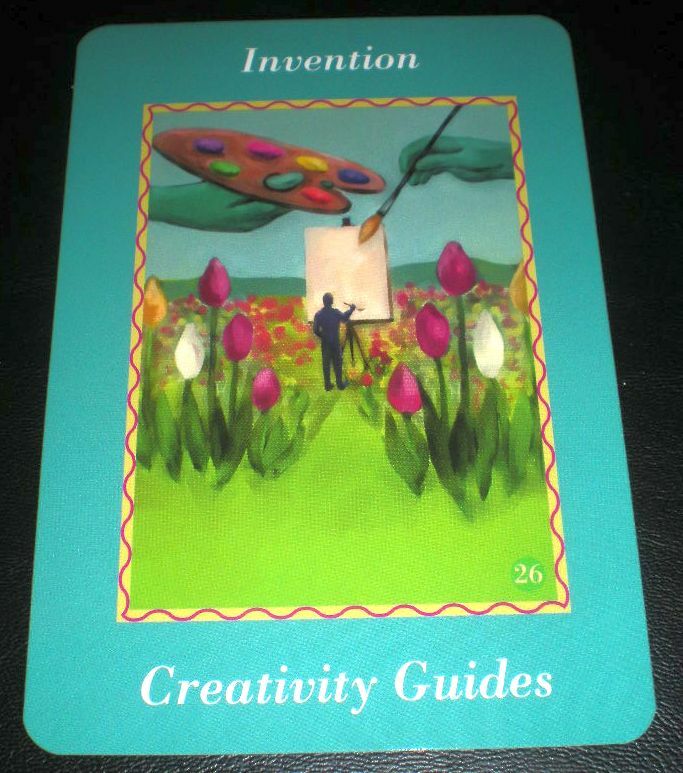 Your Creativity Guides urge you to be grateful for the pluses of your life and to be creative with the negatives. They’ll help you use your inventiveness to transform any adverse situation into one for the better. So, rather than dwell on your lousy childhood, true though it may have been, appreciate the courage it developed in you and use it to change the unsupportive past into a self-reliant present. Rather than endure an unfulfilling job, be resourceful and start the business you’ve dreamed of for years. This is not to deny the pain of your life, but to use it as an incentive to move to higher ground. Allow your Creativity Guides to serve you; they are not afraid of the lemons you encounter in life. Gather their juice as fuel to invent much better circumstances, and ask them for inspiration and ideas. They have plenty to share. is about how I’m working towards never complaining. Goals are a challenging concept for me, but in that vein, in the awareness of “doing better,” I have realized that Fall/Autumn does bring a more enjoyable type of weather. And I’m enormously grateful for it. Oh, GAH. totally get why you don’t like the words she chooses to use, even though the idea is solid. Up until the card, though, great post, with some reminders of things I need to work on. Thank you. Have not been checking in here for weeks due to feeling a bit overwhelmed this summer (and also being gone for long stretches), but I hope I’m back to checking in on a regular basis. Hugs to you and yours. Glad to have you back, but also glad that you enjoyed your summer traveling. Hearing someone tell me to make lemonade out of lemons usually made me want to smash lemons on their heads. 🙂 But I get the point. Not complaining is a toughie. And it goes back to the whole gratitude thing that’s easy to slide out of when things aren’t going smoothly. Which, of course, is when you need it most! So good reminders here today! Currently crossing my fingers the rain will come early tomorrow so I can see the Super Moon Eclipse tomorrow night!